Escalating its torrid growth rate, Viking River Cruises ordered two more 190-passenger vessels for introduction in 2014, bringing the total of new ships launching next year to 14. The most recent orders are for Viking Hlin and Viking Kara, both of which will sail the 15-day “Grand European Tour” between Amsterdam and Budapest and the eight-day “Romantic Danube” between Budapest and Nuremburg. By the end of 2014, Viking will have introduced 30 new ships in a three-year period. 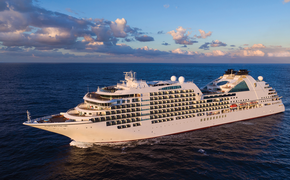 “We are working hard to match supply with demand, and with these newbuilds, we have the best designed, newest and most extensive offer of ships on the rivers — more than double all our competitors combined," said Torstein Hagen, chairman of Viking Cruises, which also includes the fledgling Viking Ocean Cruises. River cruising has exploded in popularity over the last decade, growing at average annual rate of 9 percent, according to the Cruise Lines International Association. In comparison, Viking says it has grown an average of 22 percent per year, compared to the estimated 4 percent annual growth of its competitors. The two new ships will be Viking Longships, which have 95 staterooms, including two Explorer Suites, seven two-room Veranda Suites with a full-size veranda in the living room and a French balcony in the bedroom, 39 Veranda Staterooms with full-size verandas and 22 French Balcony Staterooms. The vessels have the indoor/outdoor Aquavit Terrace with retractable floor-to-ceiling glass doors, solar panels, organic herb gardens, and energy-efficient hybrid engines designed to reduce vibrations. In March, Viking set a world record by inaugurating 10 new Longships in a simultaneous christening ceremony in Amsterdam. Hagen has said his company could have up to 100 ships throughout the world by 2020. The other 12 ships to be named in March include Viking Alsvin, Bestla, Buri, Delling, Eistla, Gullveig, Heimdal, Hermod, Idi, Ingvi, Kvasir and Lif. In addition, two ships being launched this year, Baldur and Magni, will also be named next March. 928-guest Viking Star, which will operate a 15-day itinerary in the Baltic and 10- and 12-day itineraries in the Mediterranean. A second ship is on order for 2016, and Viking also has options for two more vessels in subsequent years.